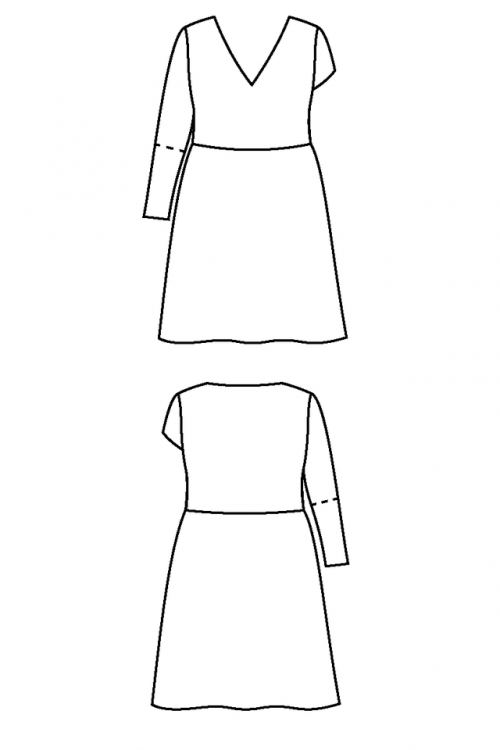 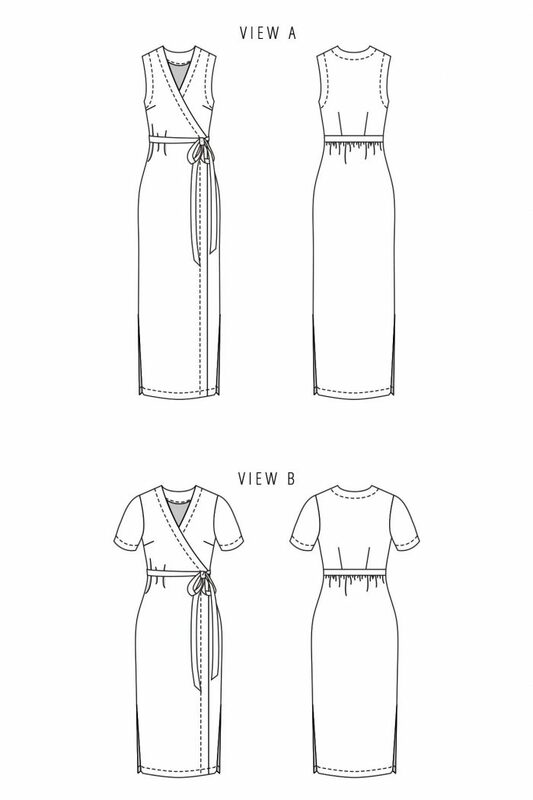 The Highlands Wrap Dress should be sewn using light to mid-weight woven fabrics with lots of drape. 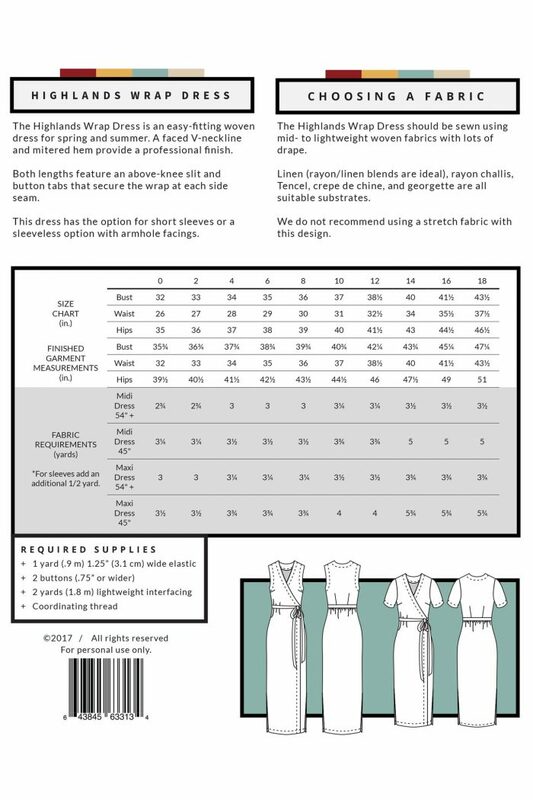 Rayon/linen blends, rayon challis, tencil, crepe de chine and georgette are all suitable fabrics. 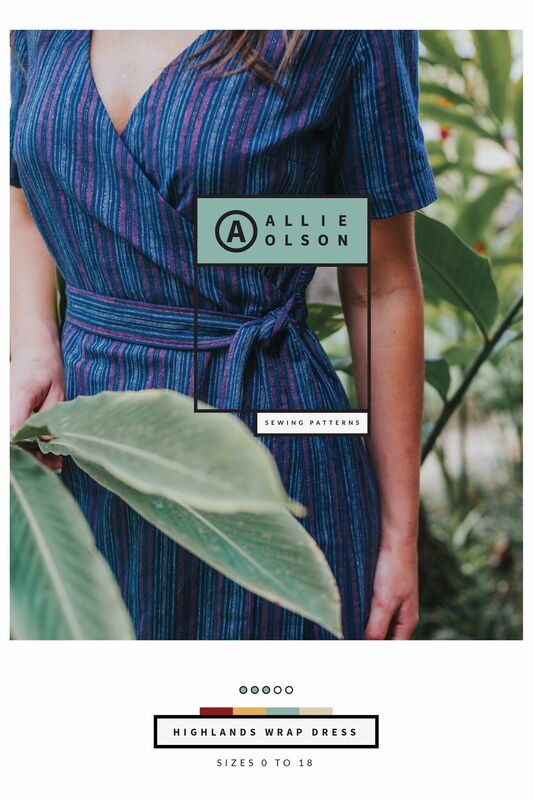 We do not recommend using a stretch fabric with this design.